Long a dirty little secret of the digital media business, the topic of ad fraud has been thrust front and center in discussions among agency executives, advertisers and publishers over the last three years. Bot traffic, or nonhuman digital traffic, is at its highest ever, and recent projections from the Association of National Advertisers have more than $7 billion in advertising investment wasted. A variety of organizations and companies are putting serious efforts into stanching the losses, and the ANA will make the topic a centerpiece of its annual Masters of Media Conference next month in Hollywood, Fla. Serving on a panel discussion on March 3 will be Amy Bartle, director of media and digital marketing, La Quinta Inns & Suites; Ron Amram, vp of media, Heineken USA; and Michael Tiffany, co-founder and CEO of cyber security firm White Ops, who will present findings of a study on ad fraud. The following is an edited Q&A with the panelists, along with insights from Bill Duggan, group evp of the ANA. 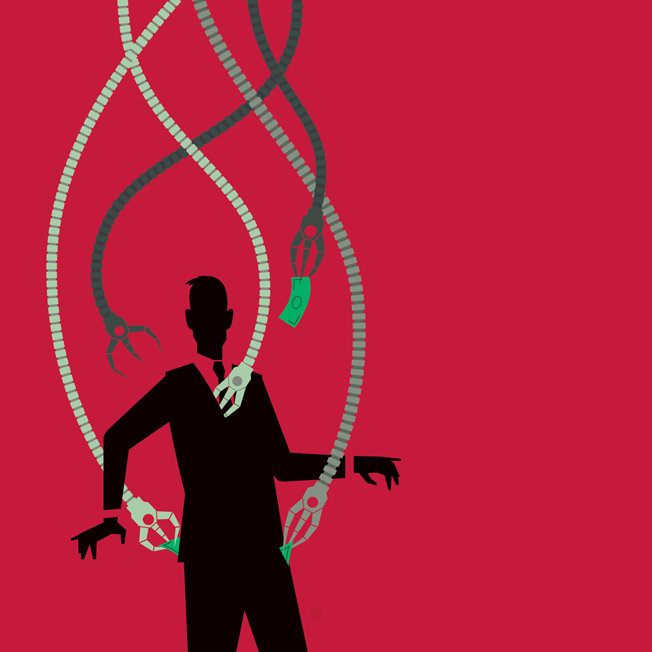 Adweek: What part of the digital ecosystem suffers the worst fraud issues, and why? Amram: This has evolved over time, but right now the most concerning fraud is in the digital video space, specifically regarding high-end content. It's a medium with the highest CPM, or cost, and the greatest expected impact. Everyone assumed that fraud was more prevalent in the dark underbelly of digital and not in higher-end video content. Bartle: Whichever one provides the highest return and lowest scrutiny. That may sound trite, but the reality is that ad fraud is driven by extremely smart individuals who are quick to see opportunity in an unguarded space. Tiffany: Fraud is not pushed into the digital ecosystem—it's pulled in, when demand exceeds supply. Fraud is worst wherever marketers grow their spending faster than the real supply. That's what links fraud hot spots as diverse as digital video—where dollars shifted to video much faster than the rate at which consumers increased their viewing of ad-supported video—and demographic targeting, where too many dollars are chasing audiences that are just not that reachable. Duggan: The advertisers fund the digital ecosystem and get hurt the most. It's the advertisers' money that is being wasted by fraud. The mobile space in particular seems to be rife with the potential for fraud. Does it give you pause in working on that platform? Tiffany: Right now, the wildest fraud innovations are happening in mobile. There are a host of new fraud models from apps that purport to do one thing but really monetize via ad fraud. And the old models, especially the widespread practice of buying huge volumes of visitors in order to serve more ads to them, really matured in the desktop space, but are now available for mobile, too. Bartle: The mobile information provided in this year's ANA/White Ops study certainly raises concerns. The mobile space overall has existing tracking and verification challenges, and adding the specter of bot fraud into the already murky space is daunting. Careful planning and inventory selection, along with third-party verification, will help advertisers move forward with cautious confidence. Amram: Yes and no. Unfortunately, we are at that place now where you have to always pause and think about the implications of fraud, and how it may impact what you're doing in all digital media. That said, we continue to move forward because mobile is so important, and it has quickly proven to be highly effective with consumers today. Mobile works, so you can't avoid it or shy away from it. The ANA expects more than $7 billion to be lost to ad fraud this year. How is your business specifically affected?